COMMENT: I saw you in front of the Bank of England. Then within a matter of days, the pound crashes. You may not be a household name but you are in the circles that matter. So did you orchestrate the reverse trend in the pound? REPLY: No! The pound crashed simply because it was on schedule. My mere presence in London did not signal the end of the pound rally. 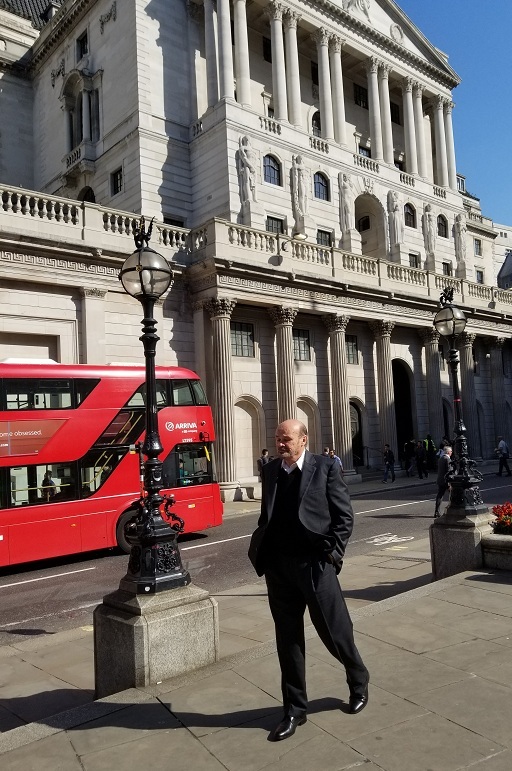 I was there for some very important meetings with clients regarding other matters, not to help the Bank of England sell the pound. I do get rather tired of being blamed for everything. What you fail to grasp here is that there are very few of us with international experience. Local economists do not cut it and it seems that nobody else with hedge fund experience who has actually traded billions of dollars when a billion used to be a lot of money is around for consultation. They were trying to make another documentary about such things and nobody else was willing to appear because they feared to speak publicly about the fate of the Euro. I get called because I tell the truth. I do not twist my view to what they want to hear just to get paid like some actor putting on a show. It is what it is. I have intimate knowledge of many aspects because when they were creating the Euro the commission in change all attended our WEC in London that year. I have been called into just about every crisis since the mid-1970s. You cannot get in the door if you have ANY conflict of interest. I no longer manage money so there is no concern about insider trading that I will profit from the info from a closed-door meeting. It is as simple as that. I also sign confidentiality agreements to ensure that sensitive names and positions are not disclosed. I did NOT meet with the Bank of England to orchestrate the shift in trend in the pound. The markets are bigger than me, and bigger than the Bank of England and ALL the central banks combined. Remember the Louvre Accord? 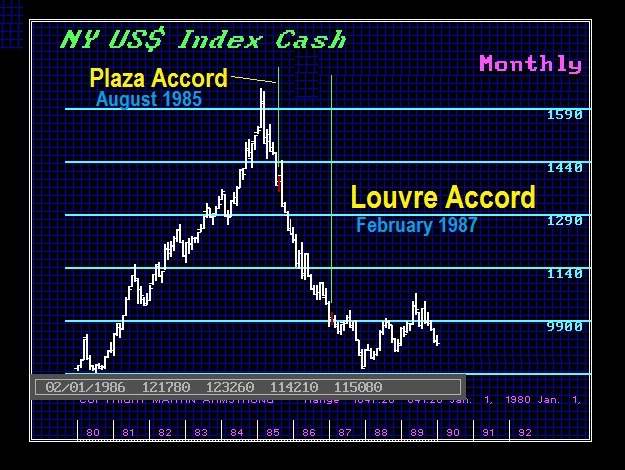 That is when the central banks came out and tried to stop the decline in the dollar going into 1987. NEWS FLASH!!!! They failed! So, what happened? They called me again since I was the one warning them in 1985 they would unleash volatility. Everyone knows my work. You cannot manipulate an individual market because we are all connected. 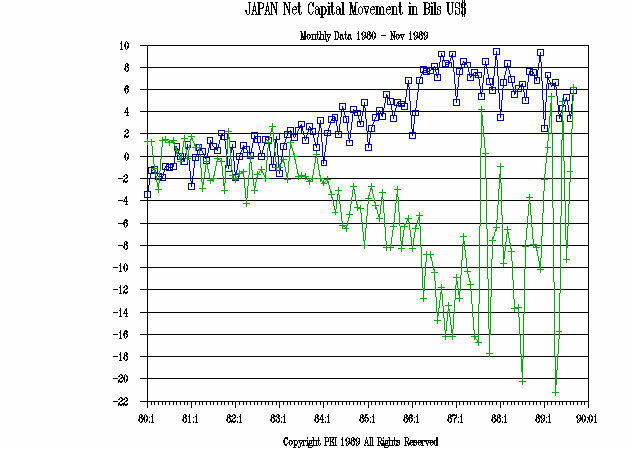 Capital flows around the global financial system like a floating bottle on the ocean current. I am called by governments and institutions, not for my OPINION, but because the computer is the only thing in the world that monitors the entire political-economic landscape and has a proven track record for almost 40 years. You also do not get in the front door with some model you just created and claim it is fantastic. Nobody will use it because if it fails, that costs them their job. Only a model with a proven track record offers job security for the decision-maker. He can point to us and everyone knows we are probably the largest institutional/governmental adviser in the world. You cannot manipulate any market beyond the normal channel of daily noise. You cannot make gold rise or fall if it is out of sync with the rest of the world. Those who keep poisoning the minds of people on that theory do so because their forecasts are wrong and have been since 1971. They are not analysts, but promoters, because they ONLY talk one side. The definition of a “real” analyst calls it the way it is – up or down. The nonsense how banks “manipulated” libor was a classic example. They could not change the trend of interest rates, they can push markets through stops up to a point. The term “manipulation” is loosely applied to running stops making it sound that they have to change the trend in a market. Those who claim it is proven gold is manipulated to prevent a rally are delusional. You cannot do that without manipulating everything else in the world. So they manipulated the stock market up to keep gold down when the majority of analysts were bearish on the stock market since 2009? Come on. Open your eyes! The world is vastly bigger than that. The total value of gold traded in 2017 was $6.7 trillion compared to $77.6 trillion in equities and the bond market is about 3 times the size of the global equity market. Gold is just a tiny fraction of the world financial markets and central banks no longer look at gold as an indicator of inflation. I have stated numerous times – GOLD is a hedge against GOVERNMENT for individuals – not against inflation. It is the hedge for Phase Three in a debt crisis – not Phase Four. It has its role and its place in the financial system as a whole. We have been in a DEFLATIONARY mode just in case anyone reads about the real world and quantitative easing did not cause hyperinflation.